Singing in the shower is something many people love to do, but being able to sing along to your favorite songs will take it to the next level. Even if you just prefer to listen, getting the best shower speaker will help you to enjoy being in the shower more than ever before. In order to get the best Bluetooth shower speaker, it’s important that you take a few key aspects into account. The sound quality is naturally going to be a big factor but features such as the level of water resistance, features and battery life are going to be important too. In order to make sure you get the perfect shower speaker for you, we have developed a buying guide and have completed shower speaker reviews to show you the best products on the market. Once you’ve finished reading, you’ll know exactly what you need. 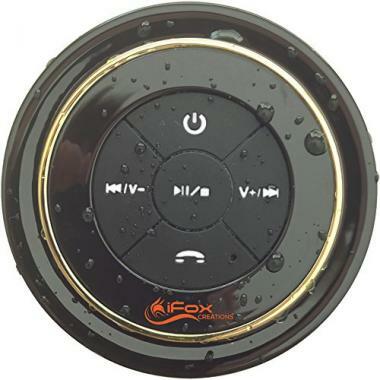 iFox have been able to create this top rated Bluetooth shower speaker that is going to be perfect for that wet environment. It is able to deliver a great level of sound quality, which is impressive from such a compact device. 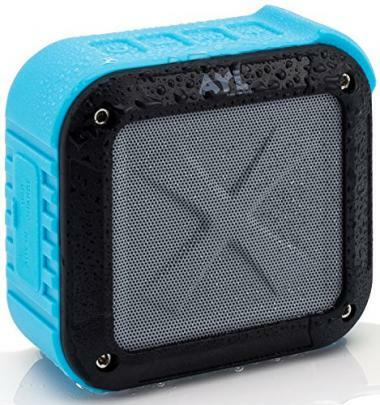 Whereas a lot of shower speakers are only water resistant, this is waterproof and can even be submerged in the water. It also has a long battery life and it could be up in your shower for a long time between charges. It also creates a strong connection and is highly impressive. 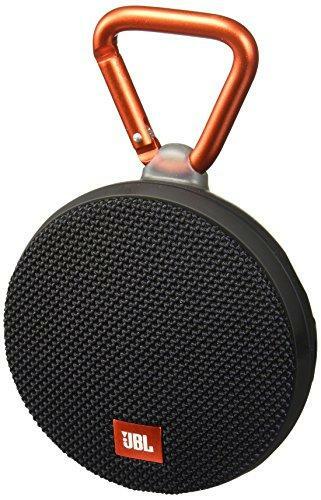 This isn’t going to be a speaker that is going to be able to stick to the wall but you can place this splash-resistant speaker anywhere in the bathroom and enjoy the great sound that it creates. It is also can give you a great volume, to allow you to sing along without embarrassment. 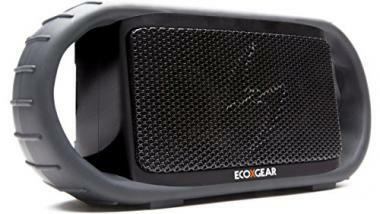 One of the most impressive features of this product is the 100-foot Bluetooth range that it has. That will make it perfect to take to the beach as well as the shower and that usability is helped by its very long battery life and short charging time. This is another great shower speaker that has a loop to allow you to hook it to anything you want but also a suction cup too. It has a stylish design and is available in a nice range of colors. The device isn’t submersible but is highly water resistant. The design of the speaker makes it very easy to use and it has a battery that is going to be able to last for six hours at 70% volume. It is able to play sound clearly and allow you to enjoy your music while you are relaxing in the shower. This Bluetooth speaker for shower from Ultimate Ears is another one that comes with a very stylish design. It has an elongated cylinder shape and is available in a great range of colors so you can find one that matches your style. It is able to give you 360 degrees of sound and with a great level of bass too. It is fully waterproof and it is also shockproof which makes it highly durable. It also has a very long battery life and also a great Bluetooth range to give you a constant connection. This speaker for shower is another that has an impressive level of sound quality for the size of the device. It is available in a few great color options and is able to have a run time of six hours while you are in the shower. It is going to be compatible with all the devices that you have and the buttons on the front of the speaker will make it very easy for you to use. It is water resistant and also has a built-in microphone too to allow for hands-free talking. This waterproof shower speaker has a very unique design and one that comes with an easy to use clip in order for you to be able to hang it anywhere. It is Bluetooth enabled and comes in a nice range of different colors and designs. It has a waterproof rating of IPX7 and also has an integrated 3.5mm audio cable for when you want a direct connection. It’s a unique device but one that is highly rated and able to be taken anywhere that you want. These waterproof speakers for shower are made with a high amount of quality and are going to do a great job of producing top quality sound in the shower. They also have a great look to them and the squared design allows them to be placed anywhere. The Bluetooth pairing will be very quick and is able to be connected from a long distance. 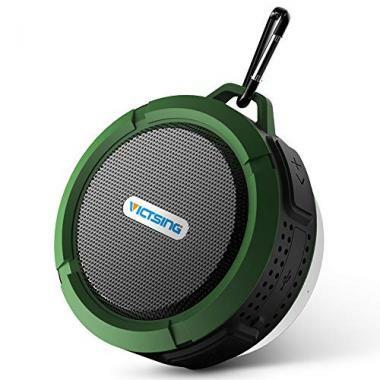 It is going to be compatible with all devices and this is a durable speaker that is going to be able to survive any tough environment and sound great in the shower. This product from ECOXGEAR will work great as bathroom speakers but is also going to be ideal in a wide variety of different situations. That is because they are waterproof but also very durable and will be able to taken on all kinds of adventures. It is able to have a runtime of 10 with its rechargeable battery and the device is very easy to hold with its wide handles. This is going to allow you to move the speaker even when your hands are wet to enjoy the quality sound that it offers. In terms of great in shower speakers, this is another great option and another one that has a very stylish design. 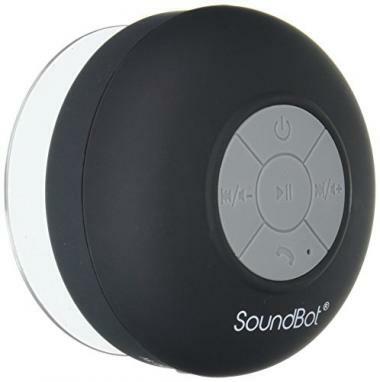 It also comes in a great range of different colors and the buttons on top of the speaker are very simple to use. The speaker is able to wirelessly connect to three separate devices for everyone to enjoy playing their own sound. It has an IPX7 waterproof rating and a battery that has a very long playing time to be able to enjoy that great sound for a long time. If you are looking for a Bluetooth or a WiFi shower speaker then this is going to be a great option. 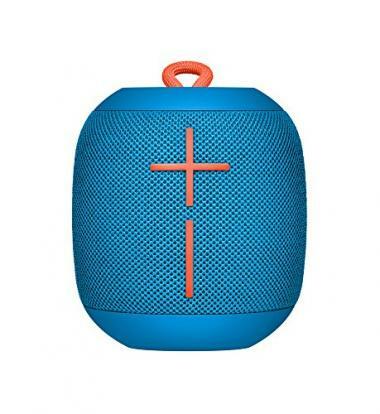 It is fully waterproof and comes in a great design that is going to be able to play sound in 360 degrees to make it a speaker for multiple occasions. It is able to be connected via Bluetooth from 100 feet away to give it a huge level of distance. This is another device that has a long battery life and has a great range of color options to be able to find something that matches your own personality. Whether you are looking at marine speakers, shower speakers or wakeboard tower speakers, sound quality is also going to be important. The sound quality is an area where a shower speaker generally isn’t going to have the same level of quality as a lot of regular speakers. That being said, that doesn’t mean that you should ever settle for poor sound quality as these devices are still able to provide good sound. They are all highly rated but there is a distinction here between the devices that are specifically made for the shower and the devices that are waterproof. The devices that are made for multi-use are generally larger but also more expensive. The speakers that have been specifically made for the shower often won’t have the same level of quality but when you are sitting in the rushing water of that shower, hearing those delicate bass notes isn’t really going to be an issue. 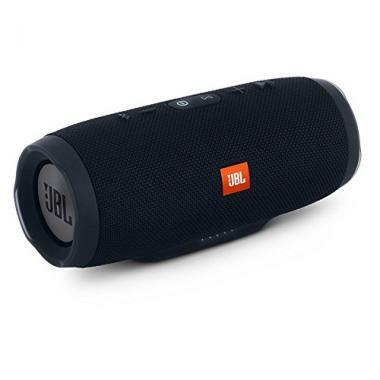 The sound quality of a speaker will usually come from the build quality and materials used. In order to ensure that you have a great speaker it’s always a good idea to buy one from a reputable brand and one that has a good level of ratings. This is the type of product where the distinction between water resistance vs waterproofing is going to be very important. This is also where it’s good to check the ‘IPX’ rating that is on a product to see the type of testing that it has been able to pass. The IPX rating system goes from 1 to 9 with the important separation point being between 6 and 7. A product that has an IPX6 rating will be able to deal with pretty much anything that isn’t total immersion whereas an IPX7 rating means that it’s waterproof for up to one meter. An IPX rating is going to be important for all electrical water products, such as a waterproof flashlight, a shower speaker or a marine GPS. In terms of the type of protection you need, an IPX4 rating is a minimum but you are really looking for anything 5 and above. Anything that is 7 and above is going to be able to be immersed in water and if it has a rating of 6 then you’ll never have to worry about it getting sprayed from the shower. It’s always important to look at the wording of a product description and check the rating. Some companies will be a little vague with the wording that they use but all the product that we’ve looked at here and going to have a high level of protection. Whenever you buy a product, it’s always good to get some added features that will help to increase your enjoyment of it. With these speakers, there are a few extra features that they have which are going to come in useful. A common feature that they have is a built-in microphone. This will allow you to speak hands-free which can be especially useful when your hands are wet. Having the buttons easily available will allow you to complete all those features. Another great feature for those looking for a simple shower solution is the ability to be able to place it exactly where you want it. One way of doing this is with a suction cup which is ideal for the shower but relies on the product being quite light. There are other great features that some of these products have too such as a low battery indicator. It’s a good idea when comparing products to see what additional features they have as this is going to help you decide between two different models. The design of these products is mostly going to come down to personal preference and there are some that look better than others. This depends on your needs as some people would prefer to have a simple and easy to use design. If you’re looking for a product that you are going to be able to use in a multitude of different scenarios then you might be looking for something a little more stylish. There are plenty of options available in this respect when it comes to the larger and more versatile models. There are some specific design aspects that you want to look out for though and they include the ability to be able to easily access the information that you need. The buttons need to be large enough and clear enough to be able to be used with wet hands. You also want to make sure that the design of the speaker is matching your needs. If you want a speaker that you would be able to use at the beach as well as the shower, then a feature such as 360 degree sound would be a good option. It’s a case of matching a product to your circumstances and getting the perfect product for you. Being able to easily switch different modes is important if your shower speaker is going to be able to have different modes. A few shower speakers will just have the Bluetooth connection and therefore there is no need to switch between modes. If you have a built-in microphone that will allow hands-free communication then you want to ensure that this is going to be completed easily enough when you have your hands wet. This means a large and convenient button for you to press. Some of these speakers will give you the potential ability to listen to the radio and likewise you want this to be easily done. The buttons on any waterproof speaker need to be clear and easily pressed to make it as simple as possible. The size could well affect your buying decision in a number of different ways. It will depend on how versatile you want to product to be but it also matters in respect of exactly where you will want your speaker to be placed. If you wanted it to be stuck on a wall, for example, then there is a limit to how larger the speaker is going to be. The reason for that is because if it’s too large it’s not going to stick on the wall while you are showering. The tempting aspect though is the larger the speaker, the higher the chance that you’re going to be able to get a better level of sound. If this case you’re going to have to think about where to place it as it’s not going to be able to be hung up. You also have to think about other aspects too such as the portability of the device. If you wanted to take it to multiple locations then you would want to make sure that it is going to be easy to carry. Getting the right size for your speaker is going to be an important step. The weight is going to link in with the size of the product as this is another important feature when it comes to where you are going to place it. If it’s too heavy then it’s not going to be able to be hung up and instead needs to be somewhere safe. All of these products that we have looked at are quite compact and aren’t going to be too much of a burden when it comes to weight. Some are going to be heavier than others though and it’s a good thing to check if it’s going to be important to you. Sometimes an added amount of weight can be a good thing. If you wanted to take it by the pool, example, you want it to be able to be solid where it’s placed down and not easily blown around. Weight is another example of a feature where the importance depends on your own needs. You want any product that you own to be durable and the first thing that you’re going to think about in terms of a shower speaker is the ability to withstand water. As we discussed in our water resistance section, this can be identified by the IPX rating which should be easily displayed. If you’re taking it to the shower though then the chance of it slipping and hitting the floor is reasonably high. You will want the device to at least have the capability to survive such a drop otherwise it might not last for very long. If you’re going to be taking it outdoors to the beach, for example, then you are going to want a higher level of durability. Being resistant to sand and being shockproof are going to be important elements here in order for your speaker to last for a long time. All these products that we have looked at here are going to have a different battery life and different needs. The importance of this will depend on the use that you have for the device and the length of time that you are going to be in the shower. As an example, if you are going to be listening to your speaker for 15 minutes, four times a week, then a battery life if 10 hours is going to last for two and a half months. This shows the lack of charging that you are going to need. 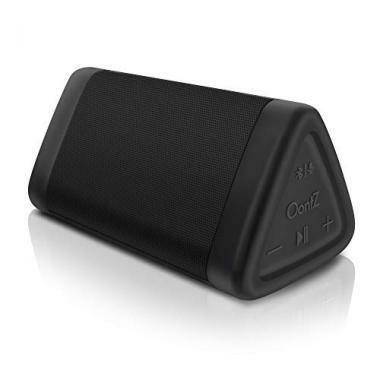 If you want a multi-use speaker for somewhere like the beach or a pool, then you will want to be able to play it for a whole day and not have to worry about charging. This is where battery life of something like six hours might be a little short. Q: What is a waterproof (or water-resistant) speaker? A: The ability of modern technology to be water resistant has come a long way in recent years and an increasing amount of technology is waterproof, such as waterproof MP3 players and waterproof headphones. A waterproof shower speaker will allow you to enjoy the sound that comes from a speaker without having to worry about it breaking. Some of these speakers will be able to be water resistant while others will be fully waterproof, therefore it’s important to check. Q: How do we know that the shower speakers are genuinely waterproof? A: There are non-technological products such as a waterproof wallet or a waterproof notebook that aren’t going to need an IPX rating but for electrical items, this is going to be a requirement and something that should be listed on all products that claim to be waterproof. You know that a product is going to be genuinely waterproof if it has an IPX rating of 7 or above. This will means that it can be submerged in the water and any IPX rating below that will mean that it just was varying levels of water resistance and isn’t fully waterproof. A: These shower speakers will be able to have a good level of waterproof protection where they are not going to let any water through the speaker and all the ports are going to be highly covered to stop any water from coming in. These waterproof features often mean that the shower speaker isn’t going to have the same level of sound quality as other speakers but most of them are able to get around these issues to be able to produce a good quality sound. Whether you want to listen to your music in your home sauna, by a pool or sitting on a beach, it’s important to get a speaker that has a high level of quality. A shower speaker is going to let you enjoy that shower experience but the level of water resistance will mean that you’ll be able to take it to plenty of different places. In order to get the best shower speakers for you, the key features that we have looked at here need to be considered. Size and weight are going to be important issues as this will be determined by your decision of whether or not you want the speaker permanently in your bathroom or able to take it to other areas. After this you want to make sure you are getting the sound quality that you need and look for any additional features that might be useful to you. You also need to know the level of water resistance you need and the level of battery life too. After you know the important details, you can then think about the other areas such as design and color. Hopefully this guide has given you all the information that you need in order to get the perfect shower speaker for you. Once you have got your speaker, you will be able to enjoy your favorite music while you bathe or anywhere by the water.